August 11, 2015  The deal in principal would provide for loans of 86 billion euros over three years in exchange for essentially an overhaul of Greece's economy. 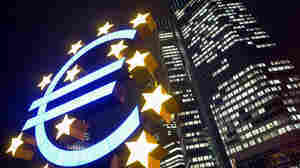 The accord still needs eurozone political approval. August 10, 2015  Greece and its creditors inch closer to a third bailout agreement. Negotiators hope to reach an accord by Tuesday. July 15, 2015  The agreement with the country's creditors passed with support from the opposition. 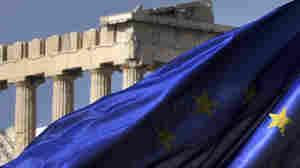 The vote allows Greece to begin negotiations with its creditors on a third bailout. April 14, 2015  European interest rates are being pushed so low — to less than zero — that some banks are paying borrowers to take loans. Such low rates are aimed at boosting Europe's economy, but there are risks. 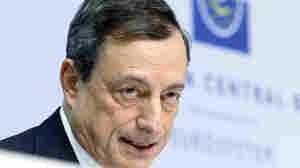 January 22, 2015  The European Central Bank chief said the bank will buy 60 billion euros' worth of bonds each month until either September 2016 or inflation reaches about 2 percent. September 6, 2012  Financial markets are watching the bank's steps closely as it tries to shore up the euro. July 13, 2012  As heavily indebted European countries have seen their options dwindle, the ECB has flexed its muscle — and not always subtly. 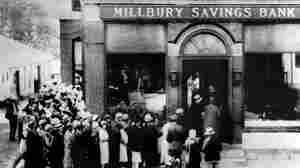 June 5, 2012  On today's show, we walk through the three things you can do to stop a bank run — and figure out what options are left for Europe. May 7, 2012  If Greece abandons the euro, its already awful economy will get even worse. How Europe Saved Itself. For Now. 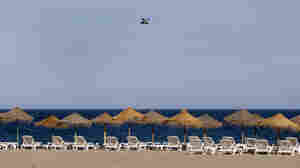 March 13, 2012  What the solution to Europe's debt crisis has to do with a bar on the coast of Spain. March 8, 2012  "Nobody's out buying bars right now," he says. 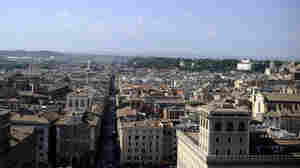 "Banks in Spain are not lending a cent — a euro cent." December 8, 2011  ECB president Mario Draghi appears to be ignoring the bat signal sent out by European leaders looking for help. 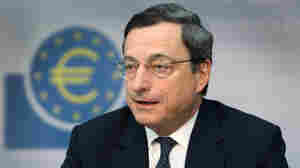 December 6, 2011  On today's podcast, European leaders want the European Central Bank to save the currency union. 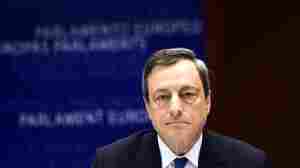 But the ECB is a reluctant superhero. August 5, 2011  "It's tough to be the Italian house in the deteriorating European neighborhood," PIMCO's head of European portfolio management tells us. Would The European Central Bank Repossess Two Global Soccer Stars? 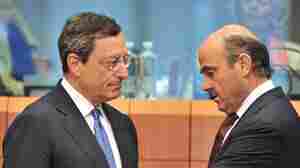 July 29, 2011  A Spanish bank wants a loan from the European Central Bank. As collateral they're pledging two of the world's biggest soccer stars.